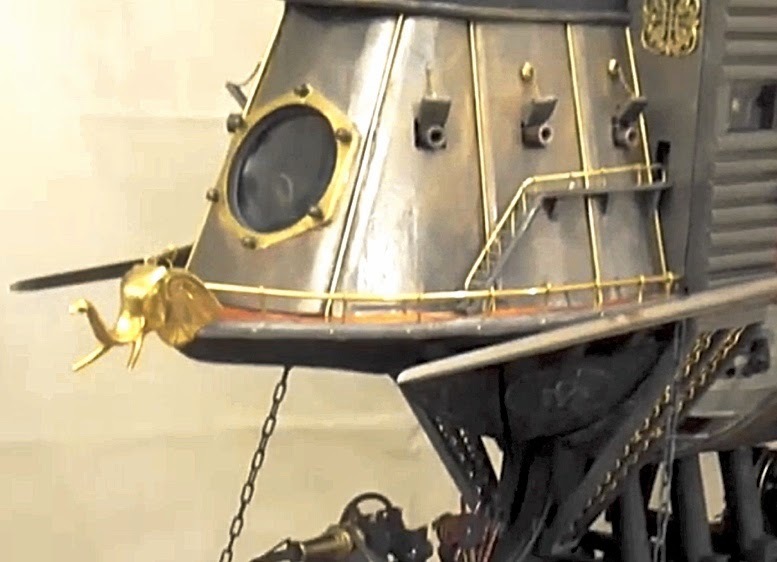 Model maker Ed Ross mixed live steam and Victoriana, to produce a working steampunk aerial battleship. The result is a superb piece of craftsmanship. The video is a comprehensive look at a work of pure imagination. In Ed's words, "...Battleship train ship model with cannons and lasers that fire. 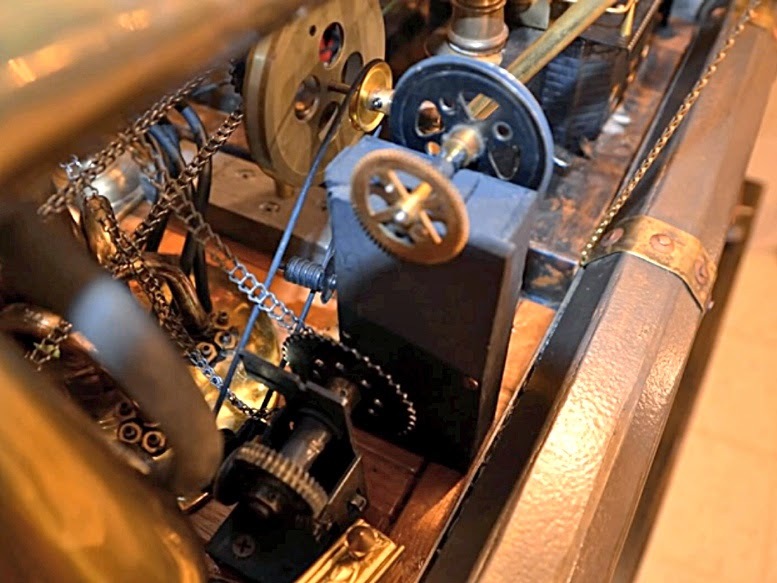 It has many handmade moving parts that are driven by a live steam engine. " The engine looks like an old Mamod machine, the type that were especially popular in the early 1960s. Ed adds, "The video is a depiction of the first trial run, with some animation and effects thrown in. 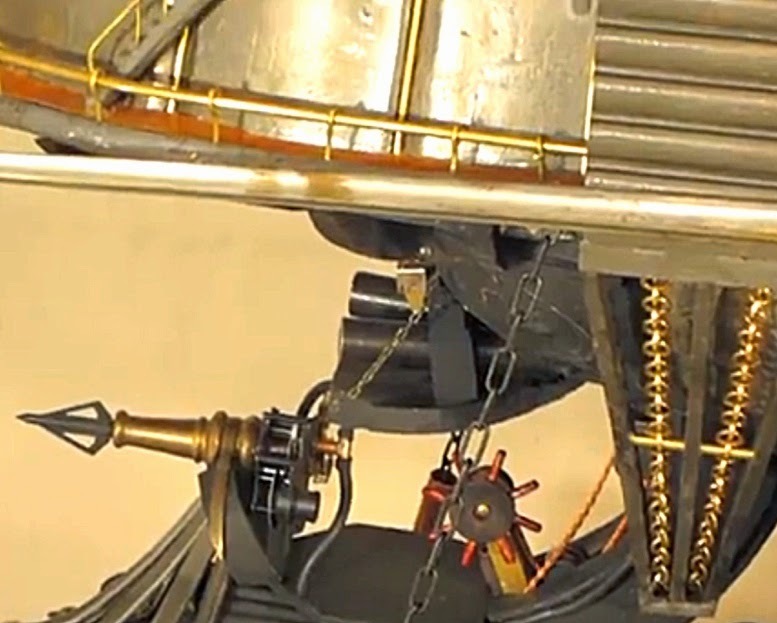 It was made from over 50 found parts and took over 2500 hours to construct." 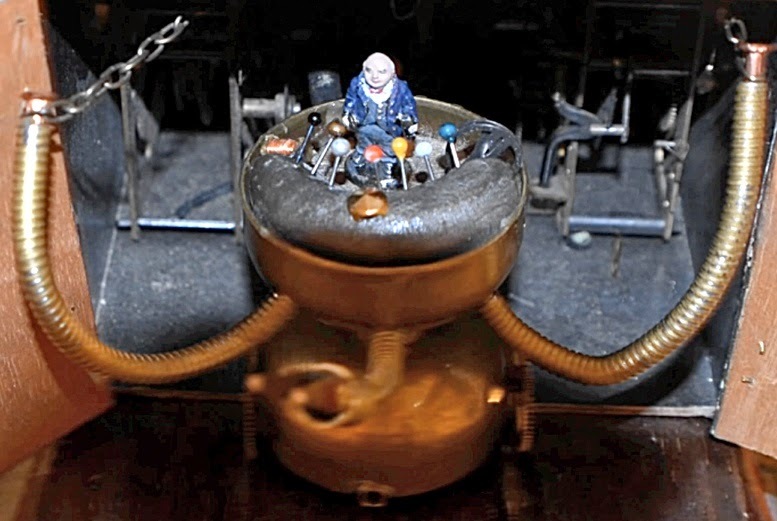 "Except for the steam engine, which was modified, it is totally hand built using ordinary home tools. It is almost four feet tall and 51 inches long. Hope you enjoy."